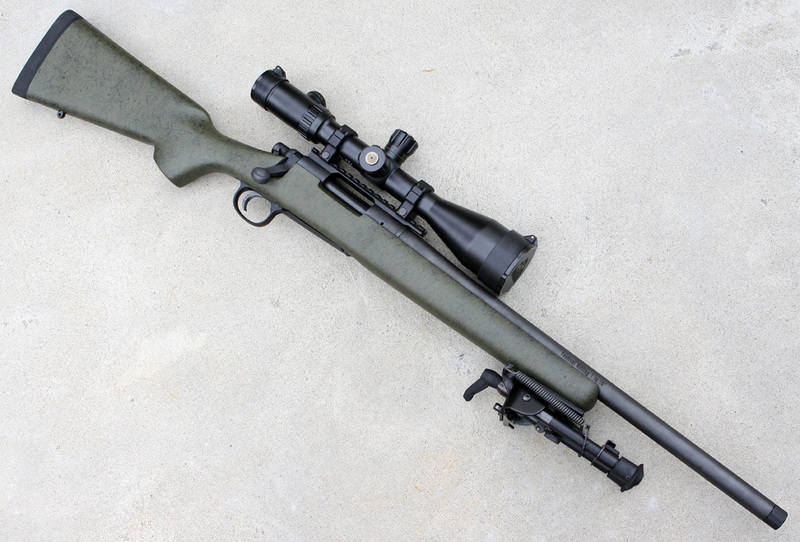 The Remington 700 aac-sd, is the tactical variant of the REM 700 SPS. 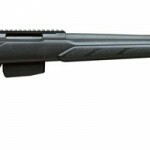 Using the classic 700 bolt action, combined with a heavy, yet short barrel, Remington have come up with a winner for targets big or small. The barrel length is 20″, and it sports a 1 in 10″ rifle twist for those long shots using heavier grain projectiles. The barrel is also threaded for the fitting of a variety of muzzle brakes, which are sold separately, and comes with a machined bolt to protect the thread. Its chambered for .308 Win, free floated from the chamber, and comes with a Harris Bipod.